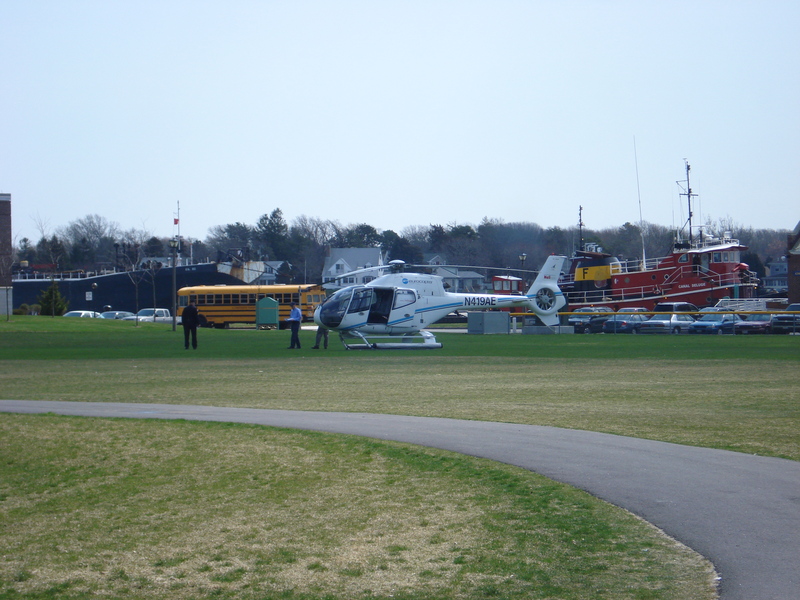 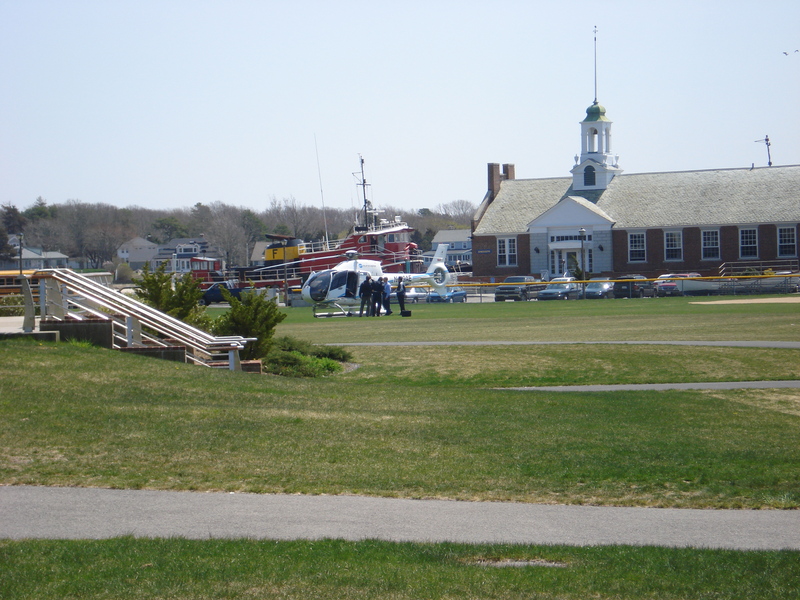 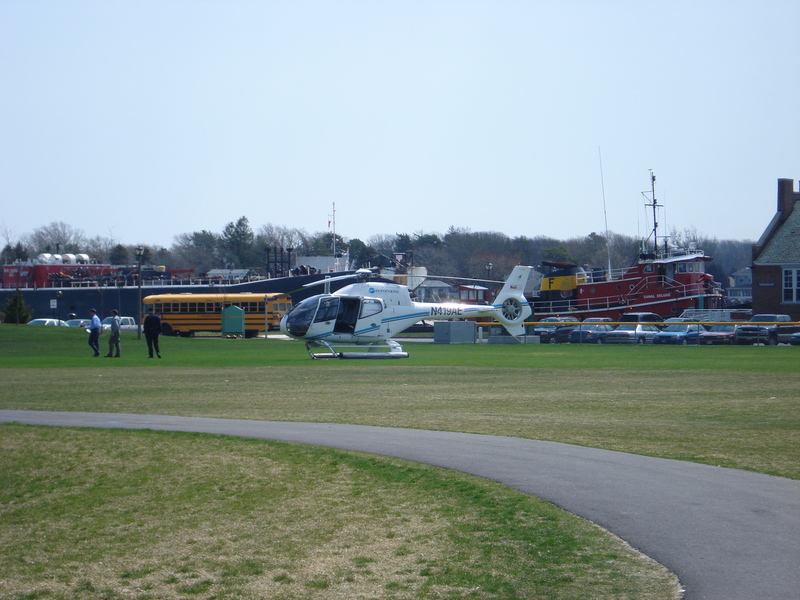 Helicopter on the Parade Field at Mass Maritime! 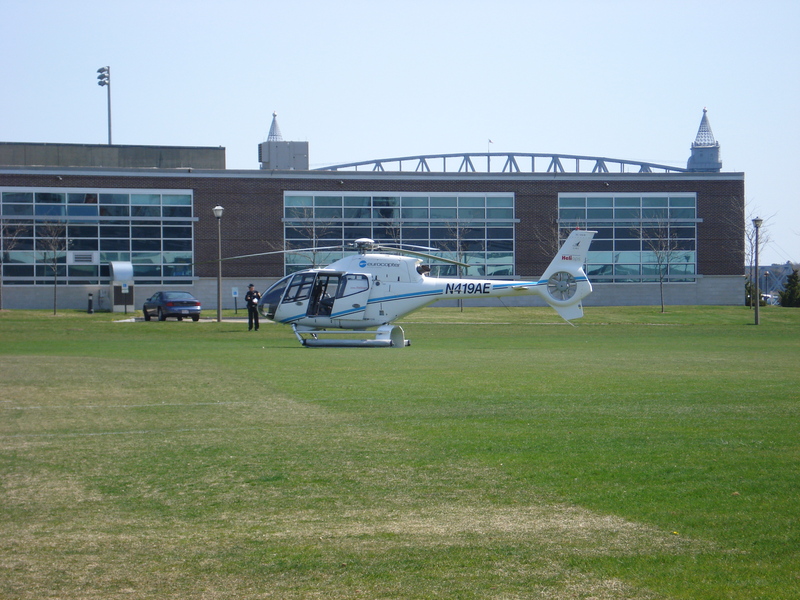 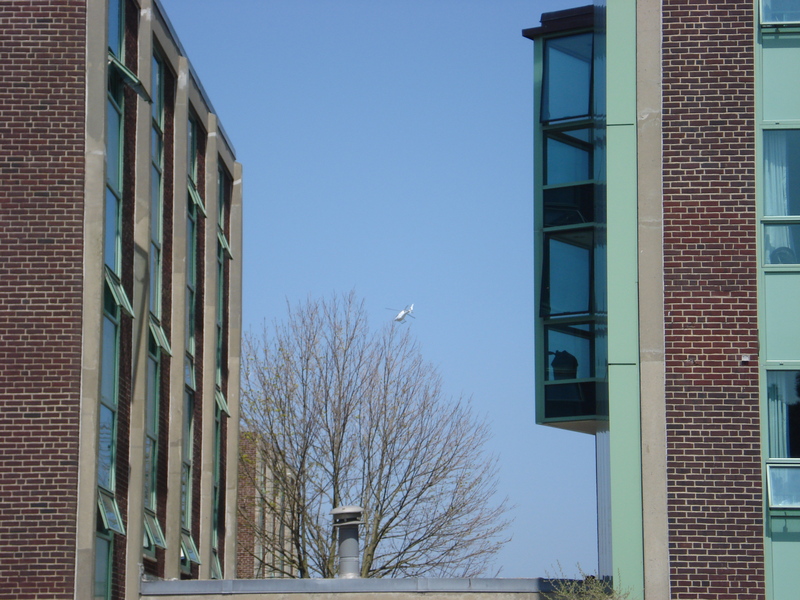 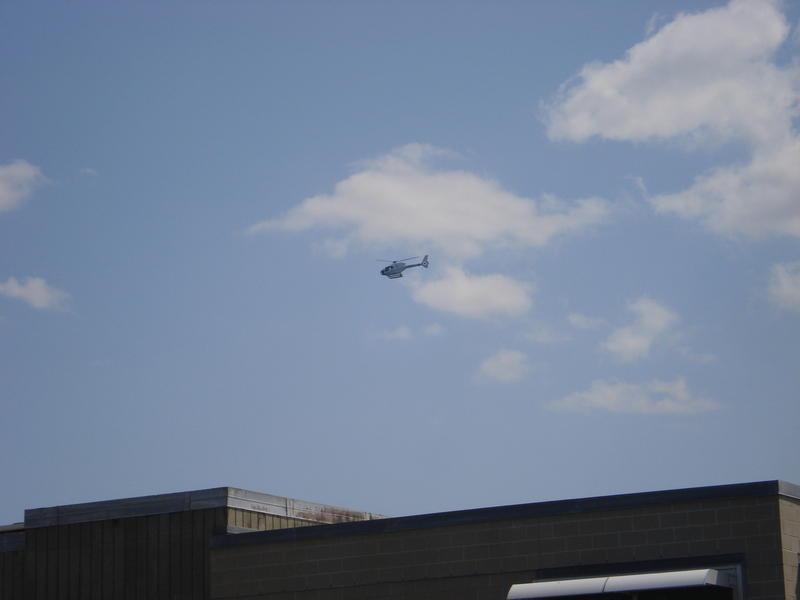 We had a helicopter land on the parade field today, and do some low altitude flying over the campus. 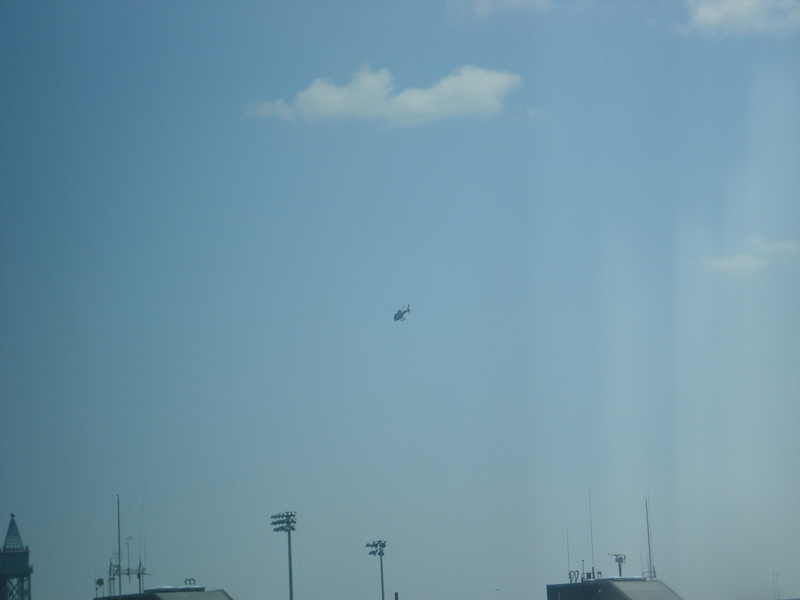 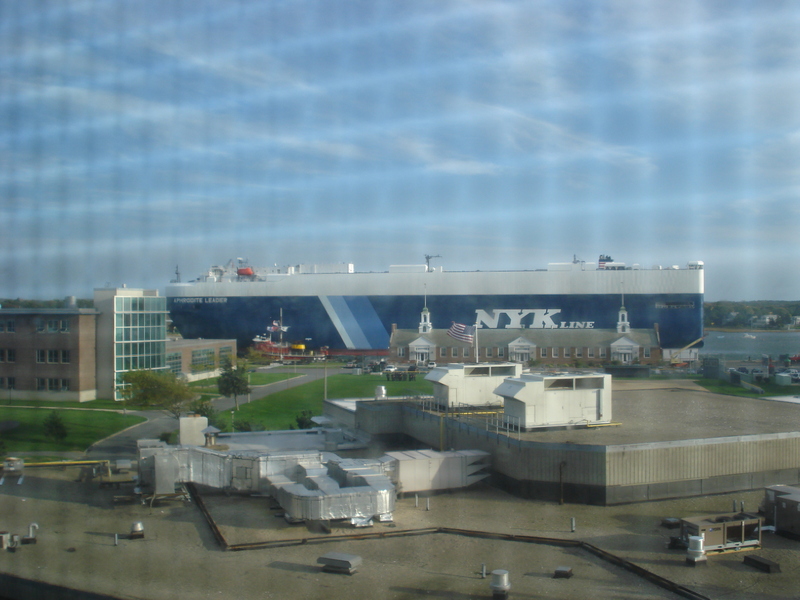 It was doing surveying and research for a new experimental low-power RADAR system to integrate with the wind turbine. 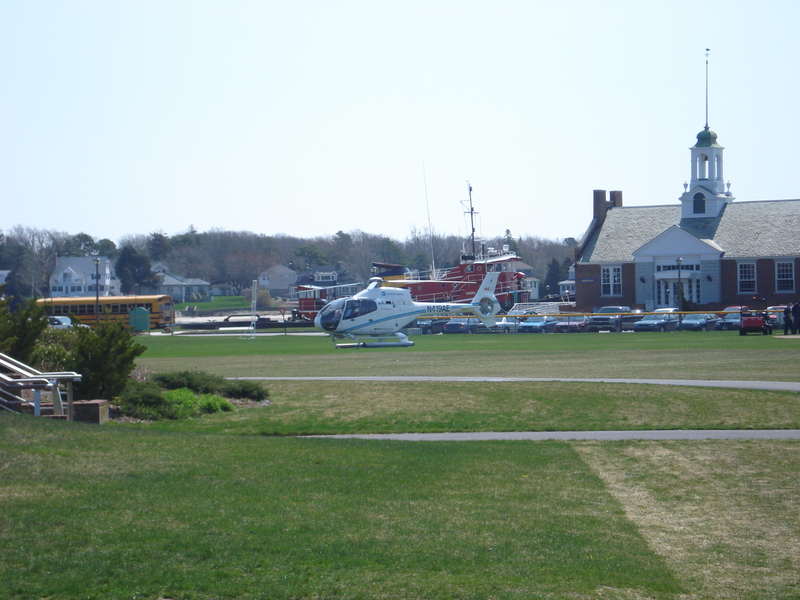 The system is intended to automatically control the aviation indicator lights on the top of the windmill, so that they can be turned on and off depending on whether aircraft are in the area.